Now that football season is in full swing, I plan on making several appetizers throughout the day on Saturdays. 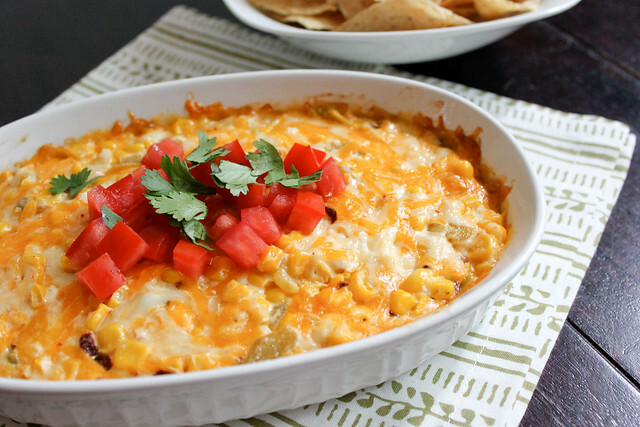 For the first Saturday of the season I made a cheesy mexican corn dip as well as a crab dip. 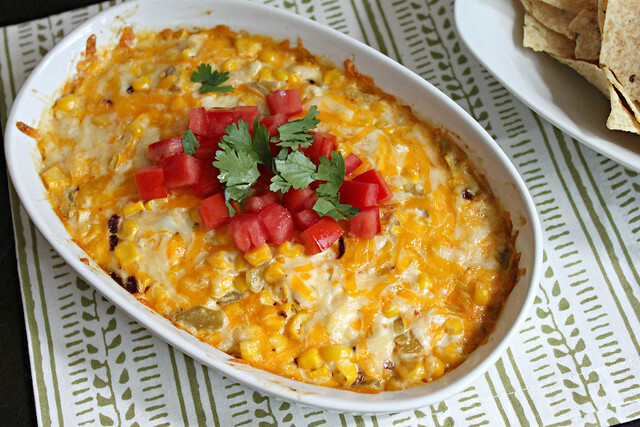 This cheesy Mexican corn dip is perfect for snacking on during football games. I halved the recipe below thinking that Russell and I certainly didn’t need a full recipe, I was wrong. We loved this dip and I really wish I had made more. No worries though, the next time I make it, I will definitely be making the full recipe. The sweet corn with the spicy peppers creates a wonderful flavor combination! This recipe calls for 2 tablespoons of chipotle peppers in adobe sauce. The only can of chipotle peppers in adobe sauce that I found was huge, so I froze each pepper individually on a cookie sheet and then packaged them in a Ziploc bag to save for later. I cut out as many seeds from the peppers as possible, but the dip was still somewhat spicy. Admittedly, I do not like too much heat and I would recommend only using one pepper (without seeds) for the full recipe.